Jayesh G. Kanuga, MD is a Diplomat of the American Board of Allergy & Immunology and the American Board of Pediatrics. He holds an academic appointment at the University of Medicine and Dentistry of New Jersey (UMDNJ) as a Clinical Assistant Professor of Allergy and Immunology. He is also the director of the Division of Allergy and Immunology at JFK Medical Center in Edison, New Jersey. Dr. Kanuga received his medical training at the BJ Medical College in Gujarat, India. He went on to complete his pediatric residency at UMDNJ, and obtained Allergy and Immunology specialty training at both the Cleveland Clinic (Cleveland, Ohio) and UMDNJ. Besides being in clinical practice for over 30 years, Dr. Kanuga has a keen interest in clinical research and has served as the primary investigator for many research trials in the last 20 years. 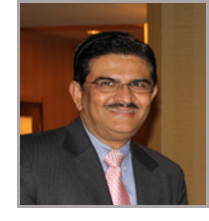 He also has broad organizational experience and has served as president of various organizations including the American Association of Allergy and Immunology of Indian Origin (AAII), the Federation of American Association of Physicians of Indian Origin (AAPI) of Greater NY/NJ, and the BJ Medical College Alumni Association. He additionally served on the Board of Trustees of AAPI and the Board of Directors of the Federation of AAPI of Greater NY/NJ. Dr. Kanuga is also a Chairman of the Asthma and Allergy India Health Initiative Committee and the AAPI Indo-US Healthcare Summit. Dr. Kanuga is a Fellow of the American Academy of Allergy, Asthma & Immunology (AAAAI), the American College of Allergy, Asthma & Immunology (ACAAI), and the American Academy of Pediatrics (AAP).